It’s a known fact in the world of dermatology that youthful skin is rich in hyaluronic acid. As we age, the distribution and function of this acid change gradually in the skin, thus leading to the characteristic signs of ageing. Hyaluronic acid fillers are smart as well as easy ways to add volume and smoothness to your skin. They are made of hyaluronic acid gel that closely resembles the body’s own hyaluronic acid. It’s long lasting, however, not permanent. The fillers such as Restylane and Juvederm are FDA approved for use to restore volume and youth to the face. Fillers enhance your natural looks by restoring your skin’s volume, creating softness and revitalizing your appearance. Hyaluronic acid comes in an injectable gel which should always be administered by a trained and medically qualified practitioner. 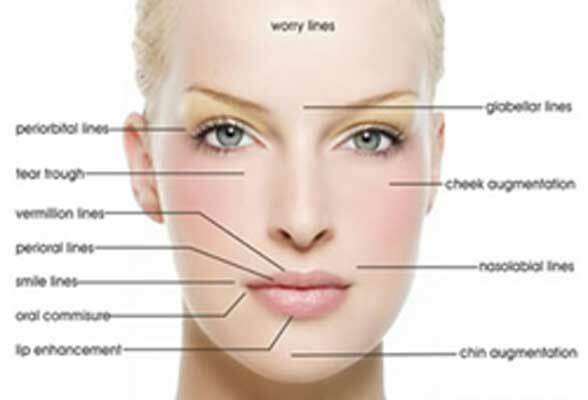 Natural fillers fill in areas of your face that sink in with age and they eradicate scars and wrinkles. These fillers can make lips fuller and give your face a more youthful appearance, however, the results are temporary. In some cases, additional treatments will be essential to correct unsatisfactory results. Most last anywhere from 6 months to 2 years, but you will have to continue having procedures to maintain the results. As per a study, bovine collagen is derived from cattle. Some individuals are allergic to this type of filler, so it’s essential to test the skin. More often, filling agents known as autologus fat, such as human collagen, which is made from fat harvested from your body are used instead. These fillers eradicate the possibility of allergic reaction, however, some fat cells fail to survive being transplanted. Bruising, bleeding and beading of the outermost layer of your skin are common side effects with dermal fillers, however, should go away comparatively fast. You can expect pain during the injection as well as the discoloration at the injection site for at least 36 hours after the completion of the procedure. As per experts, natural filling procedures typically take 15 to 30 minutes and though you might experience some pain or discomfort during the process, the recovery time is generally minimal.